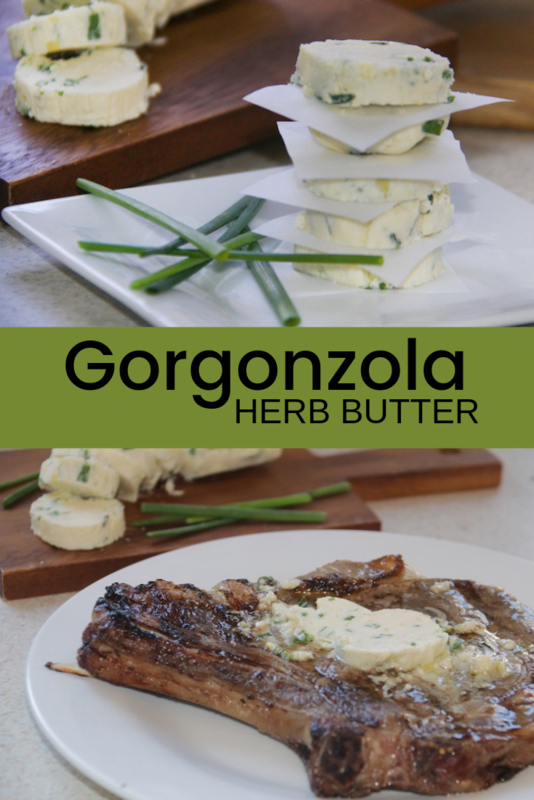 There’s just something about a nice juicy steak, but what’s even better is a nice juicy steak topped with this Gorgonzola Herb Butter. I swear butter makes everything taste better. You can use it to top other things like, baked potatoes, bread and veggies too. 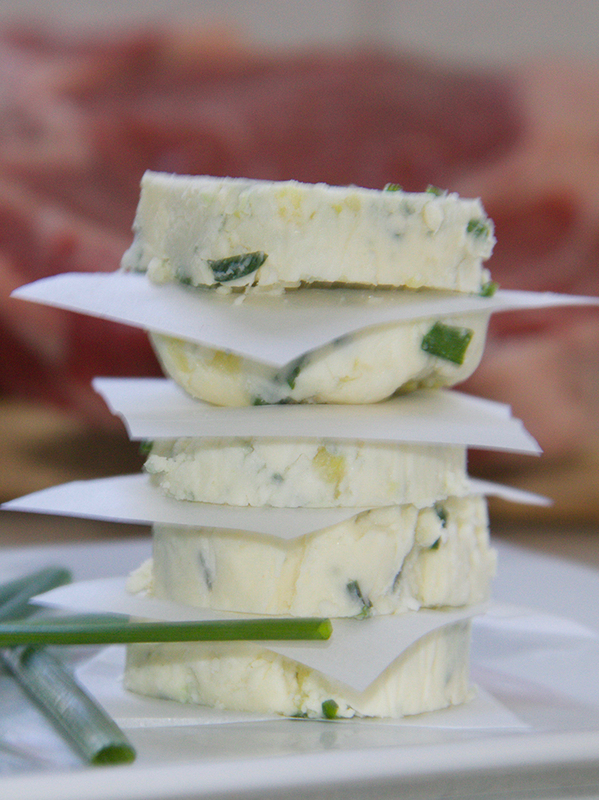 Remove from wrap and cut into slices. 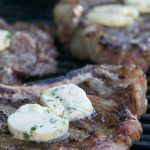 Grill your favorite steak, grill on one side and flip steaks. 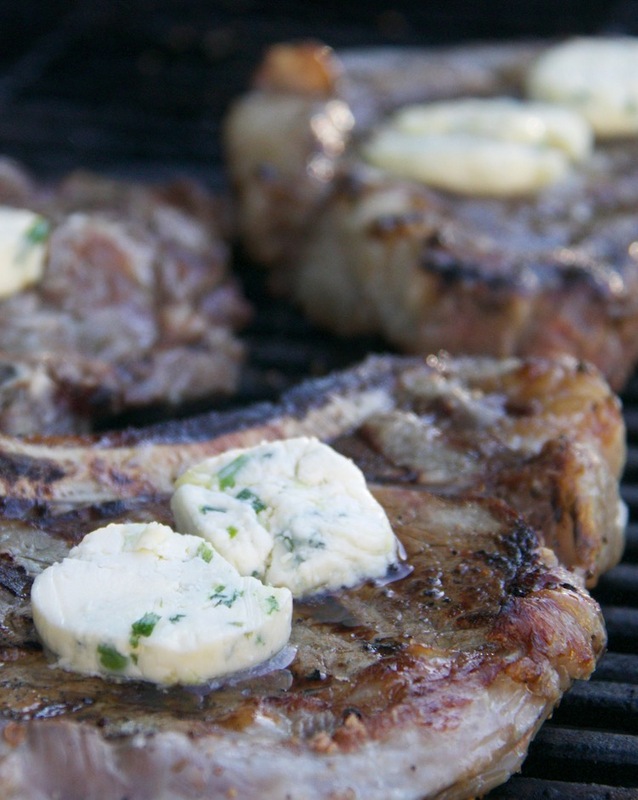 Add butter and finish grilling. 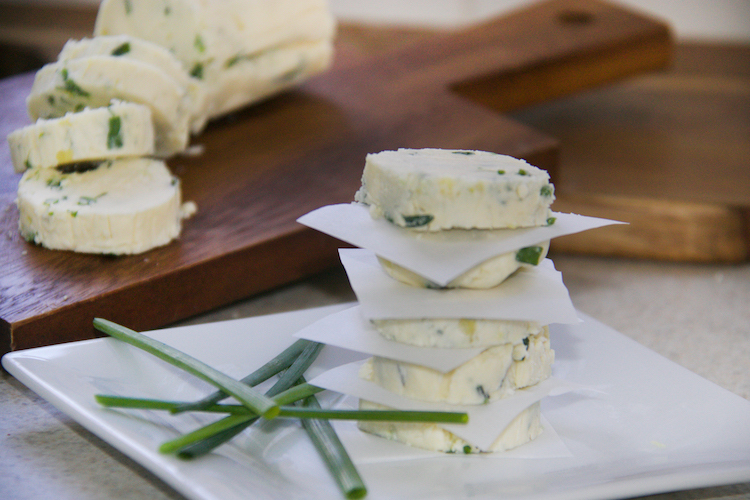 You can save extra toppings of the Gorgonzola Herb Butter by using wax paper to separate slices. 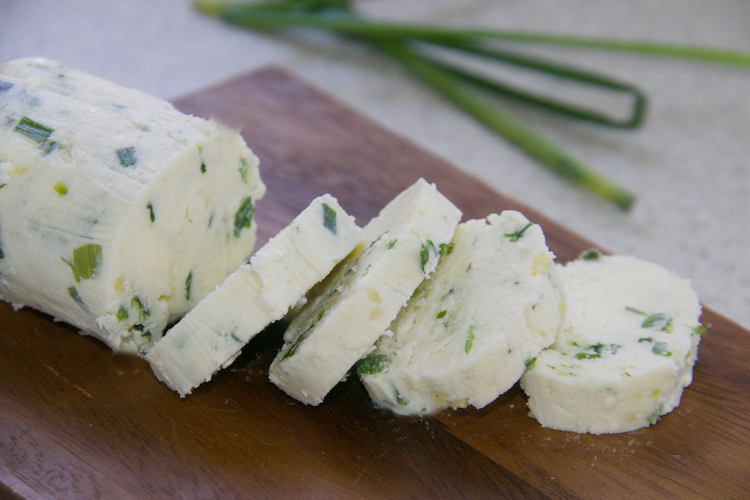 Keep in refrigerator for up to a week or freeze instead. Enjoy! 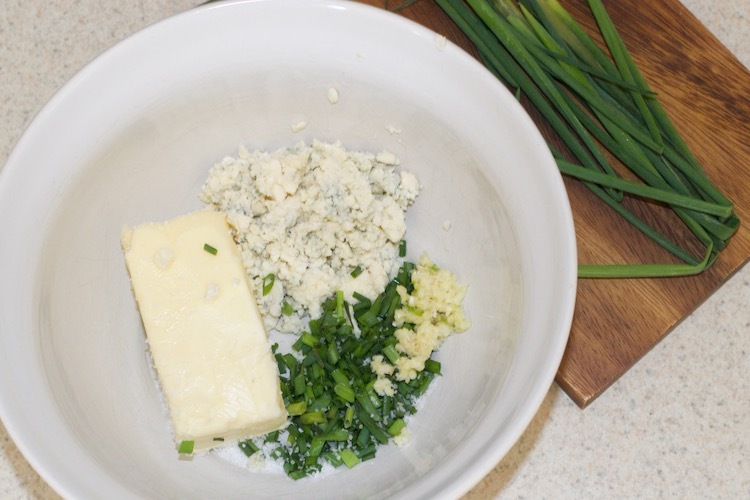 This butter spread is also fantastic on a baked potato or your favorite freshly baked bread. YUM!